As i posted a couple of days ago, the Joker’s been up to his old scavanger hunt tricks again… Empire managed to get some shots of one of the bags. 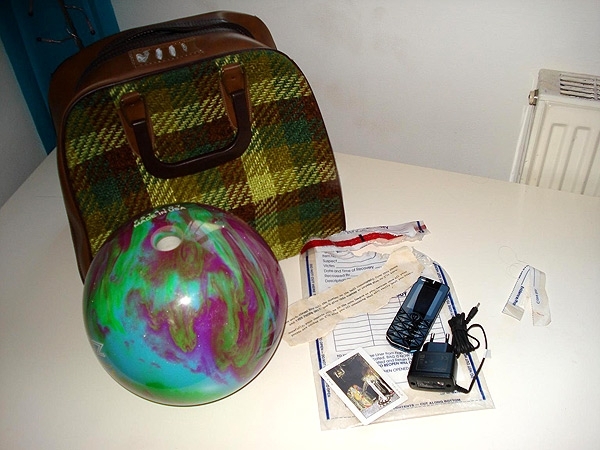 It contained a purple/green bowling ball with a number on it, a mobile phone, and a note to say call the number on the ball… More info at Empire. ← WORLD OF WARCRAFT COMING TO CONSOLES?